Help the Animal Rescue League of Boston in its special drive to save more lives and win $100,000 in the ASPCA $100K Challenge. The League is one of 100 shelters nationwide that has entered this year's challenge, but to be eligible to win we need to be voted one of top 50 entrants. Please go to http://www.arlboston.org/site/R?i=Ga477qS860CMV6APmLW4FA.. and vote for "MA - Animal Rescue League of Boston". Voting takes place from 9am April 4 through midnight April 15. Anyone 18 or older with an email address can vote and you can vote once a day! 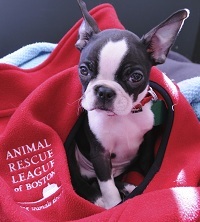 You can cast up to 12 votes for the ARL of Boston over the 12 day voting period! Let your friends and family know to vote for us as well!